On 09 March in Dungarvan District Court the National Parks and Wildlife Service (NPWS) secured successful convictions in a high-profile wildlife crime case. The court convicted four felons of crimes relating to targeting and killing of protected birds of prey during the 2014 breeding season. The case began more than two years ago, in March 2014, when NPWS conservation rangers monitoring peregrine falcon nests in the area detected suspicious activity at three quarries. 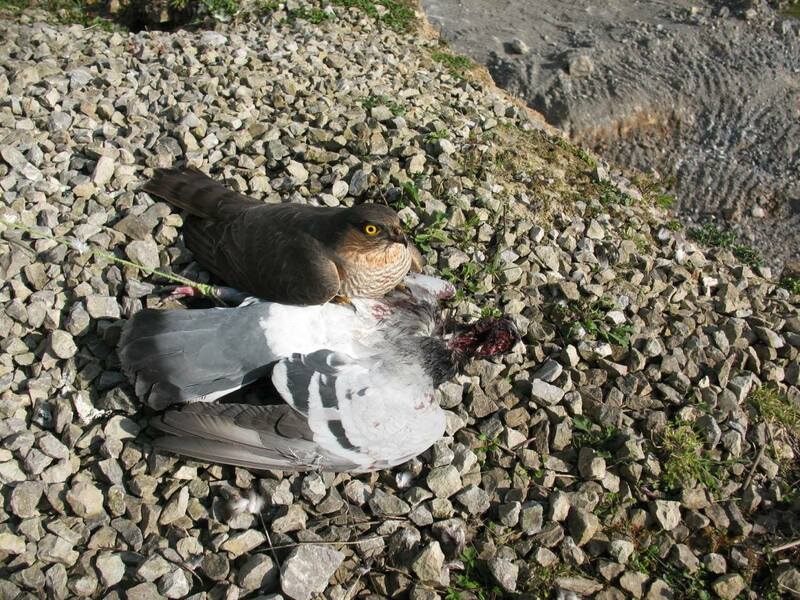 During subsequent investigations the NPWS discovered four dead peregrine falcons and two dead sparrowhawks, as well as numerous “bait” birds. Tests at the state laboratory confirmed the use of two illegal poisons. 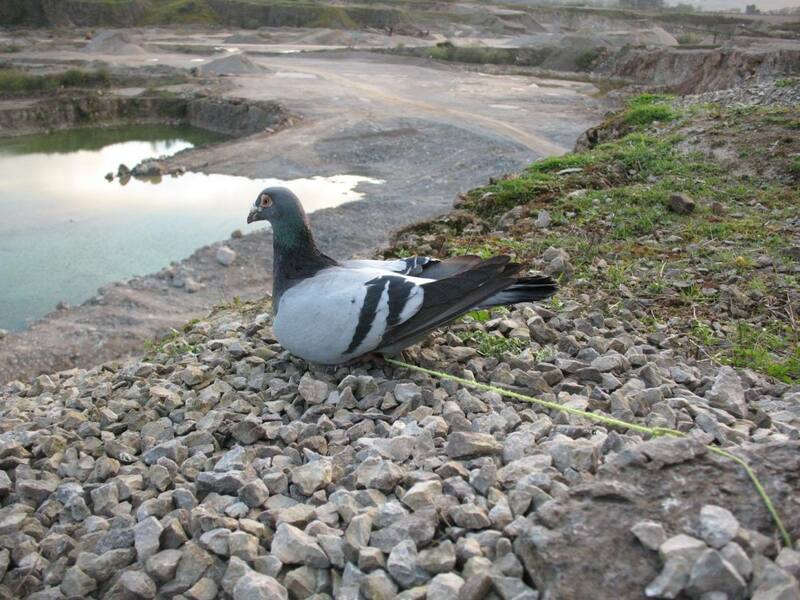 Often live racing pigeons laced with the illegal poisons had been tethered to stones or stakes at the top of cliffs to lure wild predatory birds in. The NPWS searched the homes of the four suspects and seized a number of items as evidence, including a stuffed peregrine falcon. Stephen O’Brien, 58 Congress Villas, Dungarvan was convicted of 20 offences including hunting protected birds of prey and using a live decoy on five different dates and was fined €1,500 for each date (€7,500 total). Kevin Crotty, 16 Lismore Avenue, Dungarvan was convicted of 10 offences over five dates and fined €600 in relation to two of those dates. 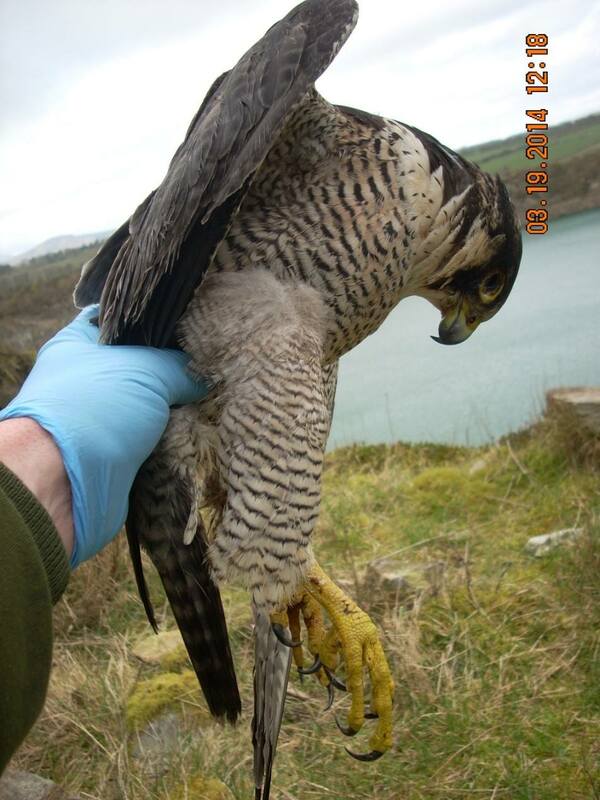 John Crotty, 23 Congress Villas, Dungarvan was convicted of four offences including hunting protected birds of prey on one date and fined €700. Christopher O’Brien was convicted of obstruction of an Authorised Person on 16th April 2014 and also with the illegal possession of a number of protected wild finches, he was fined €700. No custodial sentences were handed out as part of this conviction. Both Stephen O’Brien and John Crotty are active members of Dungarvan Premier Pigeon Club and Kevin Crotty is Chairman of the club. The Judge also ordered the forfeiture of a preserved Peregrine Falcon found at the home of Christopher O’Brien. The National Parks and Wildlife Service believes that bird of prey persecution remains a significant problem in this country, and is calling on members of the public to report any suspicious activity in relation to birds of prey, their nests or their eggs to their local Conservation Ranger. This PDF contact sheet (downloadable PDF) from the NPWS website provides information on local NPWS contact numbers around the country. They should of been jailed. I agree Kevin… a custodial sentence was within the judge’s power I think, but sentences tend to be fairly lenient when it comes to wildlife crime in Ireland.